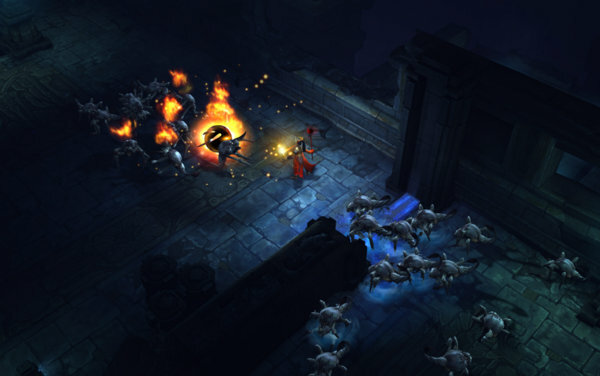 After the controversial launch of Diablo III with the Auction House and the major gameplay changes compared to Diablo II, Blizzard set out to address many long-time fans’ feedback with the Reaper of Souls expansion. The much despised auction house was shut down in favour of a new loot system, along with a complete revamp of the difficulty settings. 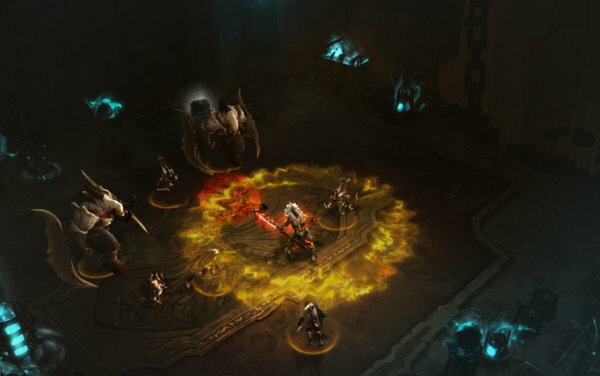 Though all Diablo III players would benefit from the new gameplay changes, owners of Reaper of Souls would be able to take advantage of the new game content such as the new Act V storyline, Adventure Mode, and the Crusader class. After Diablo’s untimely defeat at the end of Diablo III, a new villain has stepped up to challenge the Nephalem. The archangel Malthael has reappeared and rebranded himself the Angel of Death. After Malthael attacks Tyrael and the members of the reformed Horadrim Order and steals the Black Soulstone, the Nephalem is summoned to the city of Westmarch to save the day. Casting an archangel as the villain of Diablo III: Reaper of Souls is a nice change of pace from the usual demon enemies. The new plot continues to explore the story of the angelic realm, which brings some more balance to the overall lore. From the large overarching plot down to the small idle conversations in town, the writing is top notch. In fact, I found the small talk in town to be the most impressive. The humorous snippets serve as an excellent foil to the grim world of Diablo. I really appreciate the fact Reaper of Souls provides optional side quests for several of the NPCs which caps off their ongoing stories from the base game. I found myself rather attached to my followers after spending hours listening to their dialogue while slaughtering thousands of demons at their side. Finally being able to see their story come to a close was one of the most satisfying moments for me in the game. Personally, Diablo III was a bit of a disappointment. The game that was released at launch was not terrible, but I felt it was not up to Blizzard’s standards. There was a large laundry list of things that needed to be done post-launch to bring the game up to snuff. The Auction House, in both its real money and gold forms, was a much hated part of the game. Classes needed serious balancing and long term replayability needed to be addressed. After almost two years of tweaking, adding, and adjusting has culminated in Reaper of Souls and patch 2.0. As a note, it is impossible to review Reaper of Souls without addressing the gameplay changes that patch 2.0 brought to the game. 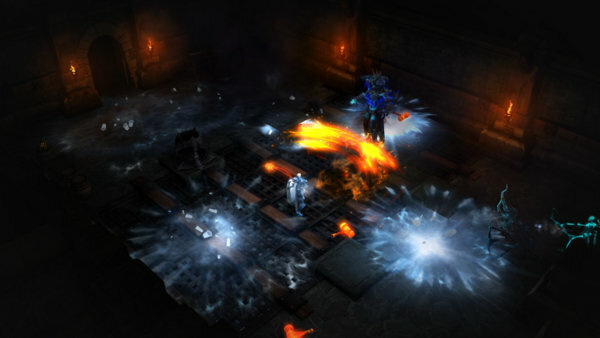 The gameplay changes was implemented for all players via the patch, while the new additional game content was made available for Reaper of Souls owners. With the removal of the auction house, a new loot system has been implemented in the game, known as Loot 2.0. The amount of overall loot players will encounter has dropped, but the quality of loot that is suited to the player’s character will now constitute a vast majority of the drops. Those returning to the Diablo III will notice the difference instantly. There are less trips to the auction house to empty the bags of rare items and less trips to town to sell/salvage the rest. Legendary drop rates were buffed significantly and made Bind on Account, except for a small two hour window where legendary items can be traded to party members present during the item’s drop. 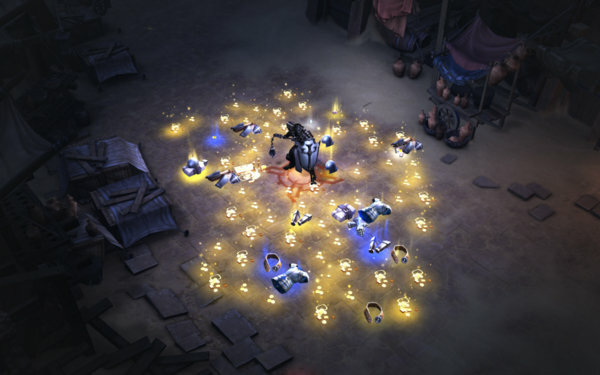 The new loot system may be familiar to those who played Diablo III on the consoles, as Loot 2.0 is a tweaked version of the console system. Loot 2.0 is makes for a more satisfying game. Players are now rewarded with appropriate loot for playing the game, instead of grinding enough gold to buy the right loot on the auction house. The difficulty system has been reworked to better scale to player levels. Normal, Nightmare, Hell, and Inferno has been replaced with Normal, Hard, Expert, Master, and Torment I-VI. The game now scales the difficulty to the host’s level, while providing better bonuses as the difficulty level rises. Torment is the only difficulty that drops the new level 70 legendary items. I found the new difficulty system scales at a smooth rate for the most part, but the difficulty jump between Master and Torment I is a bit steep. 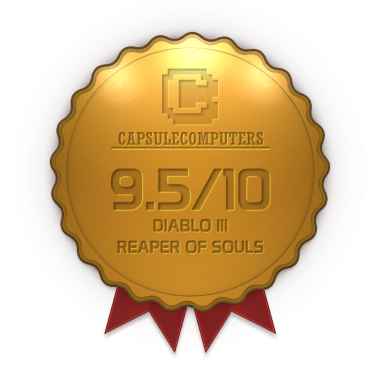 Reaper of Souls brought new content in form of a new act, the Adventure Mode, the Crusader class, and a ten level boost to the level cap. Act V’s length is about on par if not slightly longer than the previous acts in the game. In comparison to previous acts, I find the dungeon design to be more maze-like. The city of Westmarch has become one of my favourite places in the entire game with its many small optional side quests and its close quarters. Malthael is a fantastic end boss to cap a strong Act V. I personally found him to be a much more technically challenging boss compared to previous bosses and an entertaining fight. The real bulk of Reaper of Souls’ replayability rests in the Adventure Mode. Once Act V has been completed, players complete random bounties in different areas in Adventure Mode. These bounties are short 10-15 minute exercises that can be chained together for a bonus chest with extra loot. Blood Shards and Rift Keystones drop as additional rewards for completing the bounties. The Blood Shards can be traded in for random items that have a small chance of rewarding the player with a legendary items. 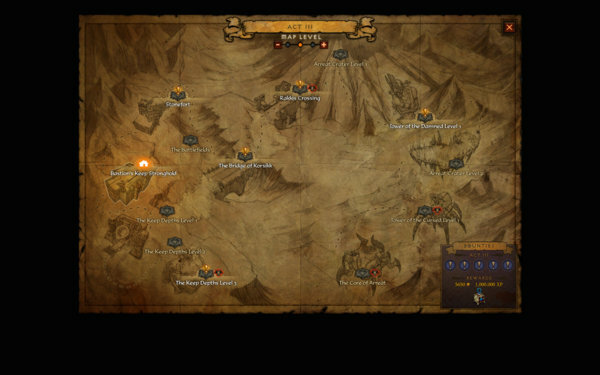 Five Rift Keystones can be used to open up a Nephalem Rift that will generate a random dungeon where players will kill enemies until a Rift Guardian appears. These guardians are an extremely powerful version of a random mob in the game. Upon death, they will drop a generous amount of loot, money, and experience. The Nephalem Rifts usually take thirty minutes or longer to clear, and provide lots of opportunity for marathon runs of Diablo III. Adventure Mode is a much needed addition to the game that provides relief from grinding the same campaign over and over again. 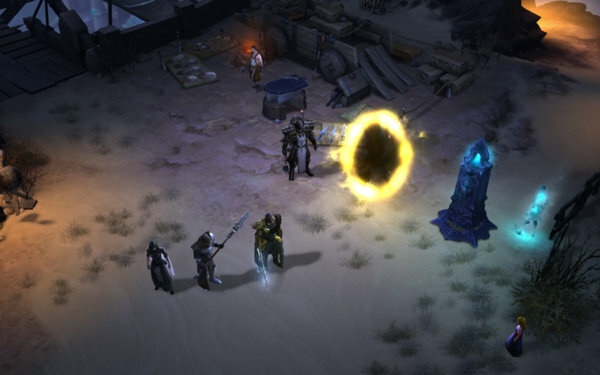 Reaper of Souls builds on Loot 2.0 by adding new items scaled for the extra 10 levels. Additionally, the Mystic has been introduced to the game. For a price, she is able to transmogrify items to look like the basic weapon models in the game and any legendary item previously looted. More importantly, the Mystic is able to enchant weapons by replacing an unwanted stat with a new random stat. Considering the important of gear with the correct stats in Diablo III, the Mystic is an important addition that will turn amazing gear into the perfect item. Diablo III’s cast of characters had an interesting hole. The Paladin from Diablo II was replaced by the Monk. The archetypical heavily armoured warrior of light was demoted from a playable class to a Templar follower. Reaper of Souls sought to answer demands for the return of the heavily plated warrior by introducing the Crusader. On paper, the Crusader is a great idea. They are heavily armoured warriors that wield mostly physical and holy abilities to punish their enemies. It is clear that a lot of inspiration has been drawn from the Paladin class from World of Warcraft. However, on launch the Crusader is extremely underpowered and needs some serious balancing compared to Diablo III’s original classes. It is fair to point out the older classes has underdone almost two years of balancing and tweaking, while the Crusader has only seen several months of beta testing. Currently, the Crusader seems to be struggling with overall low DPS compared to other classes and a seriously underpowered melee experience. Although there are some really appealing ideas for the Crusader, the class needs serious work to better balance the Crusader compared to the other classes in the game. Reaper of Souls’s brings some new visual design with the new areas found in Act V. The city of Westmarch easily takes the crown as the best area in the game, breaking away from the traditional caves and dungeons in favour of a dense urban area. Blizzard has designed the new enemies to reflect the fallen angel motif, though the player will also plough through legions of familiar zombies, skeletons, and ghouls on their way to Malthael. The cinematics continue to be blockbuster quality, easily standing on par with the giants of Hollywood. 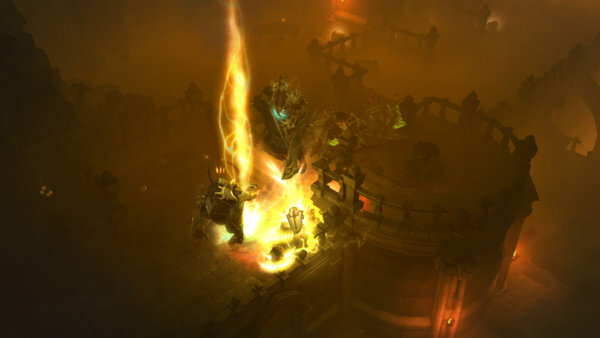 On the technical side, Reper of Souls is no more taxing than Diablo III. The game ran just as well the pre-expansion game and has equally low minimum system requirements. With the settings turned up to max, the Reaper of Souls still looks great. 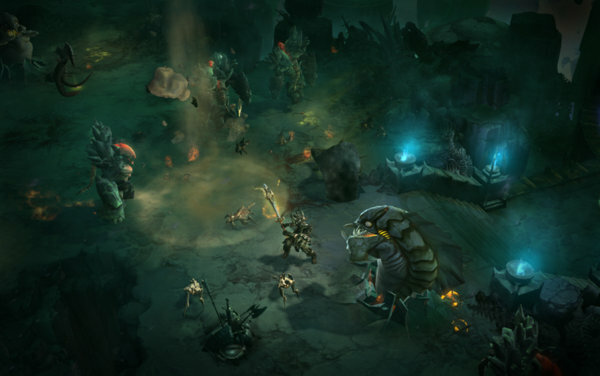 Blizzard continues its tradition of fantastic orchestral scores with Reaper of Souls. The music is moody and gives the game an epic feel. The voice acting continues to be of excellent quality. The sound effects are spot on, and big battles provide a very satisfying wall of sound. Hands down, Diablo III: Reaper of Souls is the game Blizzard should have delivered two years ago. The game brings the much needed changes to the itemization system, the death of the despised Auction House, more sensible replayability options, and a great Act V to boot. 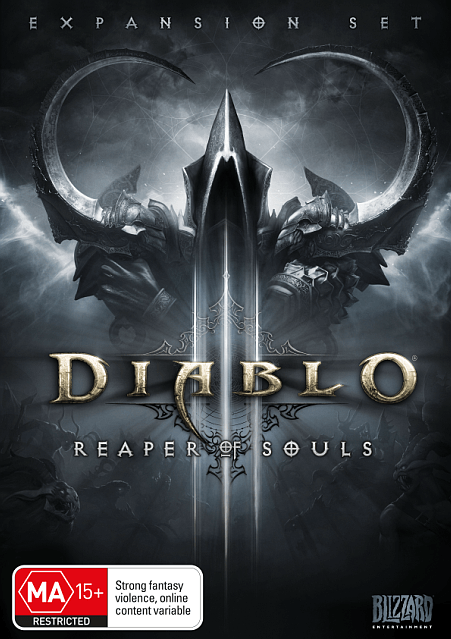 Diablo fans that were turned off by Diablo III should really consider coming back to the game and giving Reaper of Souls a chance to change their minds. Though the Crusader class needs some serious balancing, Blizzard delivers a highly polished experience that is a pleasure to play.